The former looking upon it as but a fancy, the latter having it only in the theory and when, among those Christians who love Christ in sincerity, there are so few that know what it is to love Christ with fervor and ardency, when there is so general a decay of love to Christ in the land, Lord, what is likely to become of Britain! Have we not provoked the Lord to take away our candlestick? Have we not provoked the Lord to suffer worse than Egyptian darkness to overspread us again, and cover our light because it shines with such cold beams, because the light of knowledge in the head, is accompanied with so little warmth of love to Christ in the hearts of most Christians? Everyone will fetch water to quench fire in a general conflagration, and surely there is need in a day of such general decay of love to Christ, that some such fetch fire from heaven, and use bellows too; arguments, I mean, to enkindle and blow up the spark of love to Christ which seems so ready to expire. 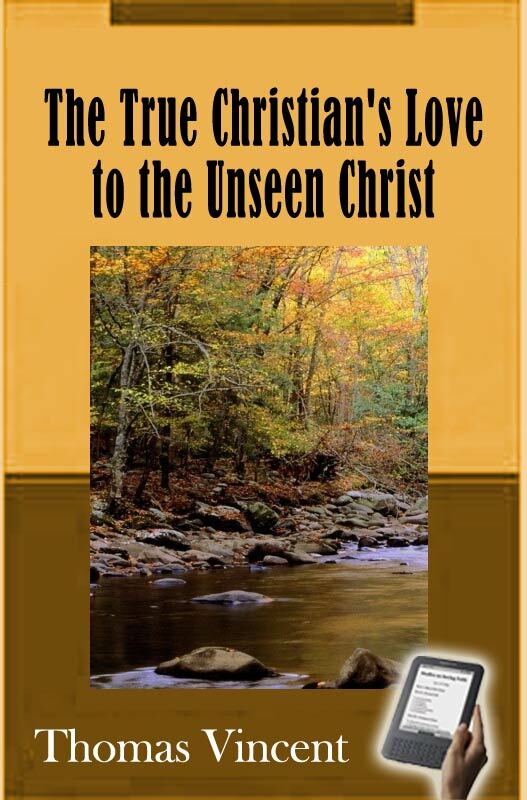 Reader, the following discourse of the true Christian's love to the unseen Christ, is not finely spun and woven with neatness of wit and language. It is not flourished and set off with a variety of metaphors, hyperboles, rhetorical elegancies, or poetical fancies and fragments. It is not adorned and fringed with the specious show of many marginal quotations, excerpted out of divers authors. The discourse is plain—but the author has endeavored that it might be warm; his design being more to advance his Master, than himself, in your esteem; and if he has less of your praise, so that his Lord may have more of your love—his great end is attained. The chief part of this discourse concerning the love of Christ is application, and about two thirds of it is exhortation (there being generally in this knowing age more need of excitation than information), where you have a variety of arguments and motives to stir up and provoke us to the love of Christ, together with several directions how to attain this love in the truth and strength of it, and wherein the strength of love to Christ should evidence itself. There is also an appendix added, for further encouragement unto the love of Christ, concerning Christ's manifestation of Himself unto such as love Him. The whole discourse is practical, nothing in it is controversial. All will acknowledge the obligation which Christians have to love Christ; and none will oppose this who are true Christians; none but Turks, Infidels, and Devils, are professedly against it.